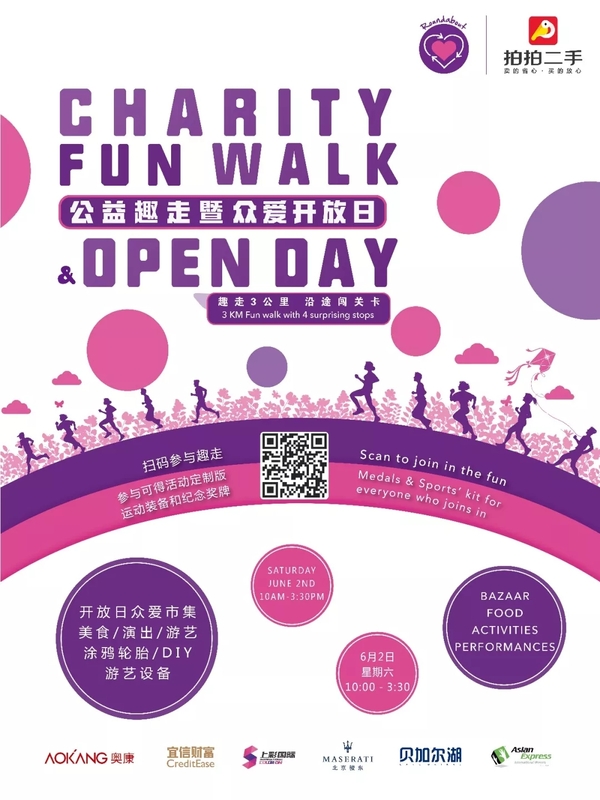 Organizer: Shangcai (Beijing) International Advertising Co., Ltd.
4 stops with fun games! Come and find out. Food, Bazaar and fun activities whole day long. Come and enjoy a nice Saturday with the family. Sign up to join in the fun. Medals & Sports’ kit for everyone who joins in. Please scan the QR code to register or donate. Thank you for your generous support.